Rattan Lubana is again in the news for a criminal act. This time he is in the news for smashing an 18-year-old boy of SD school. Shirin Mahajan, the 18-year-old victim is a student of class XII of SD school, Sector 32, Chandigarh. Shirin suffered 24 stitches after a group of youngsters thrashed him. The group included Rattan Lubana and his brother Inder Lubana. The police have booked the group including Rattan and his brother. Rattan Lubana, a resident of Kishangarh and two others were arrested in January 2015 was extorting money from school students. Later he befriended the school students. The students used to flaunt their connections and guns among the teenagers and funded Rattan and his gang booze and parties by paying them thousands of rupees. In April 2015, Rattan Lubana was a booked for threatening a school student in the court. The student who was threatened was also a member of the extortion student group. In August 2015, Rattan Lubana and others were booked for thrashing and threatening a BA 3rd-year student near DAV College, Sector 10, Chandigarh. Shirin Mahajan is a resident of Sector 32, Chandigarh. 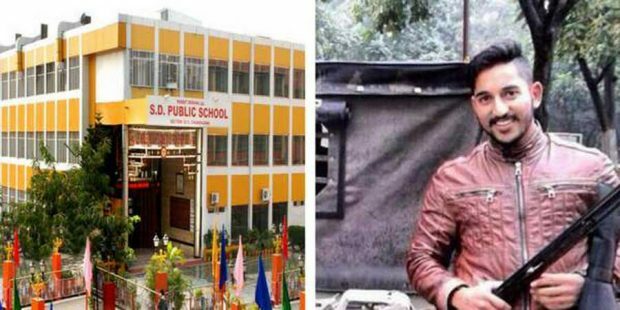 Shirin Mahajan went to the Government School, Sector 33 Chandigarh, the examination center for writing his final exam on Wednesday. Shirin Mahajan said that after he finished his exam, Karan Walia came to him and said that he wanted to discuss something. Karan Walia left and said that he will be back in two minutes. Shirin said that he was standing outside the school and soon two cars stopped. He said Rattan Lubana, Karan Walia, Karanbir Singh, Inder Lubana, Sharan Baba and other members of the group caught hold of him. Shirin said Rattan Lubana’s brother Inder Lubana slapped him and later Rattan also slapped him. As per the sources, Shirin was brutally beaten and he was also assaulted by the group. Later Shirin was also hit with a brick. His friends rushed him to the hospital. Shirin Mahajan’s aunt Mamta Mahajan said that Shirin suffered injuries on his cheeks and near his eyes. Shirin got 24 stitched and also a fracture near one of the cheeks. The Chandigarh police have booked all the six youths for thrashing Shirin.